The Ford Fusion Hybrid car has been highlighted for its use of interior lighting. Their current cars have a center console with cup holders that have a ring of mood lighting. When you place a cup or a bottle inside the console it creates a unique glow – colors range from blue and red to pink. More lighting design will be implemented to the interior of the 2013 Ford Fusion model. This time heavy use of ice blue lighting will be used in the Ford Fusion Hybrid interior. Ford’s research shows it to boost drivers’ alertness and mood while driving. This blue lighting will be used for the instrument display, center console, footwells, and cup holders. The 2013 model will do away with ineffective incandescent light bulbs and will have only LED lights. In our post on balloon lighting we highlighted the fact that you could put battery powered LED lights into balloons and fill them up with helium to create unique floating lights. 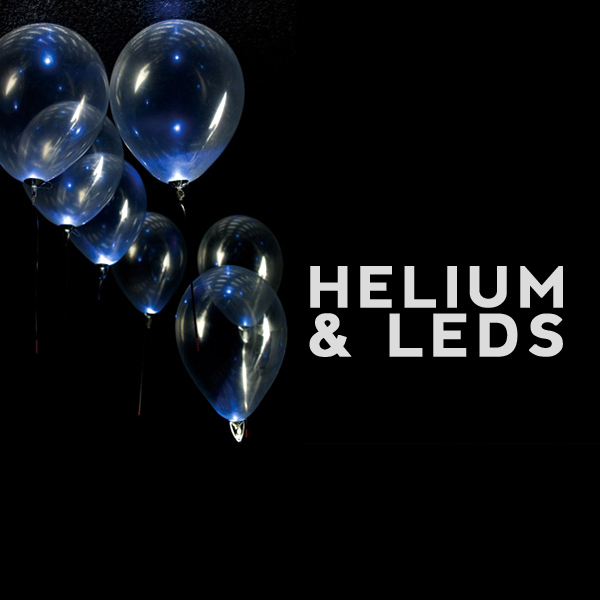 You could easily do this yourself with latex balloons and a rented helium gas tank from a party shop, or there are ready made LED balloons like Illoom Balloons which have a battery powered light already fitted inside of the balloon. 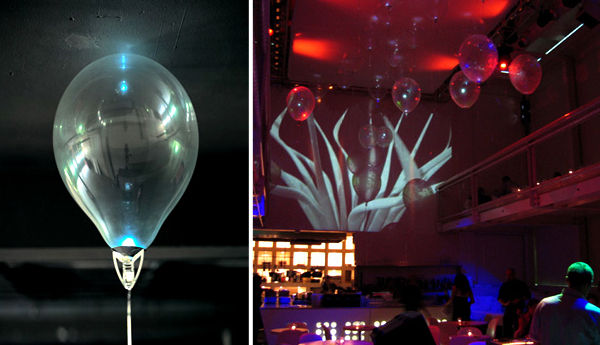 Luc Schouten has taken this balloon lighting concept and designed a more refined version. The Floating Light Lamp uses transparent balloons and a specially designed LED lamp that fits to the balloon – it is a patent pending design. The balloons come in a range of LED colors and there are 3 lighting effects: strobe, flash, or glow. Each balloon will last up to 10 hours. Ayah Bdeir built littleBits to be modern day Lego blocks. 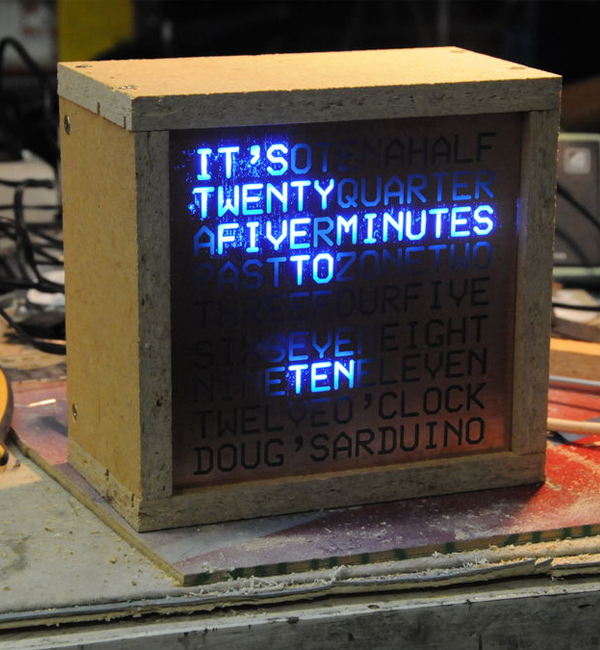 They are simple and easy to use building blocks that are used to make electronic creations. The parts it takes to create an electronic circuit have been broken down into separate modules aka littleBits. Each module has a specific function and they snap together with magnets. In the demonstration we see Ayah Bdeir snap a blue block to a green one to create light. A knob is snapped between the two and acts as a dimmer switch. The knob is replaced by a pulse module and it becomes a blinking light. 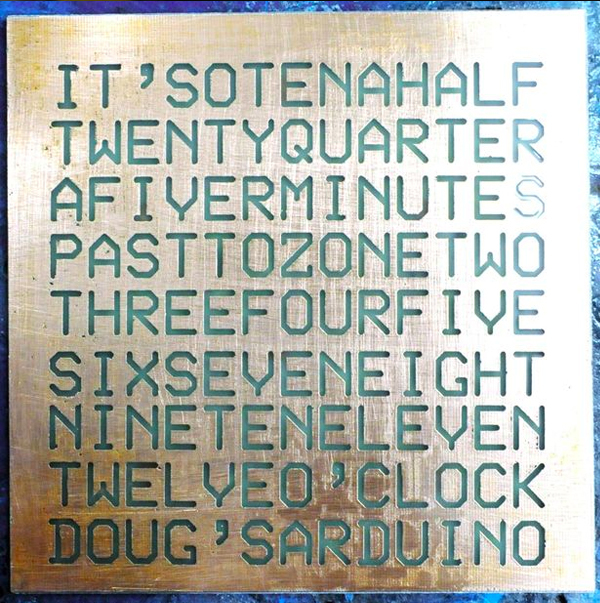 The speed at which the light blinks can be adjusted with a turn of a screw. 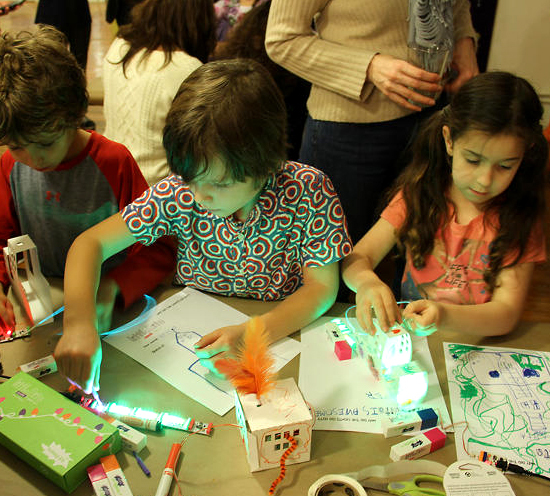 Right now there are sensors, lights, sound, and motorized LittleBits. They are all color coded with green being output, blue is power, pink is input, orange is wire. The goal is to make everything assessable and be an easy building block, including solar panels in the future. 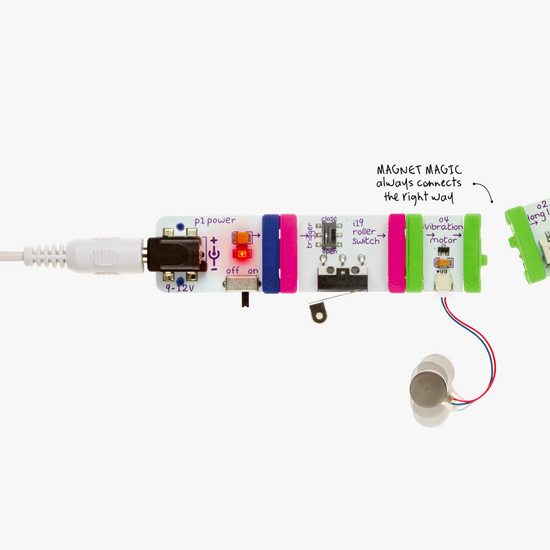 littleBits are quite pricey as they are fairly new. A teaser kit costs $29 while a full kit costs $89. Individual modules cost $14-20 but there is a discount for schools and bulk orders. Available here. A global team, led by John Rogers of the University of Illinois, have been able to modify the process of making computer chips to create LED meshes. These LED meshes can be put onto a range of different surface from tin foil, paper, even leaves. This new LED system can go to the extreme of having lights installed under the skin which can be stretched and twisted. used for photodynamic drug therapy (this is a treatment where a drug is activated when it is exposed to light. It is used to destroy nearby cells treating precancerous and certain cancer cells). 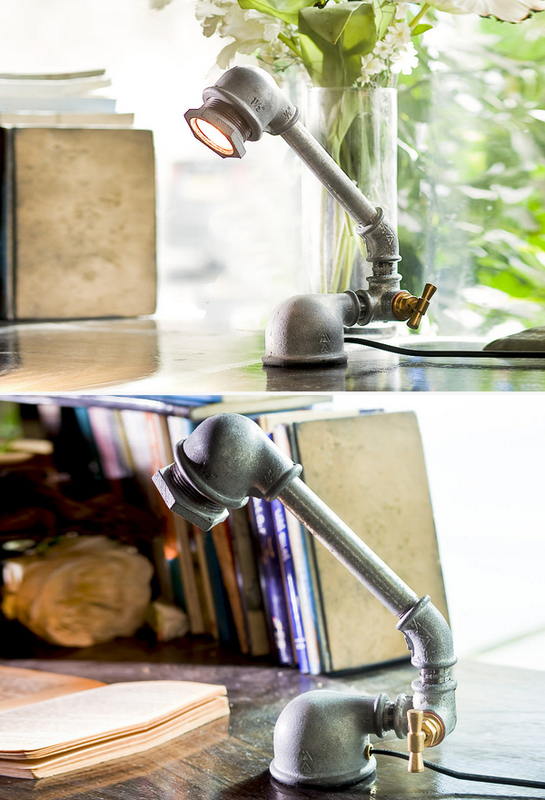 Kozo Lamp is a lighting company that uses industrial piping as their styling for light pieces. 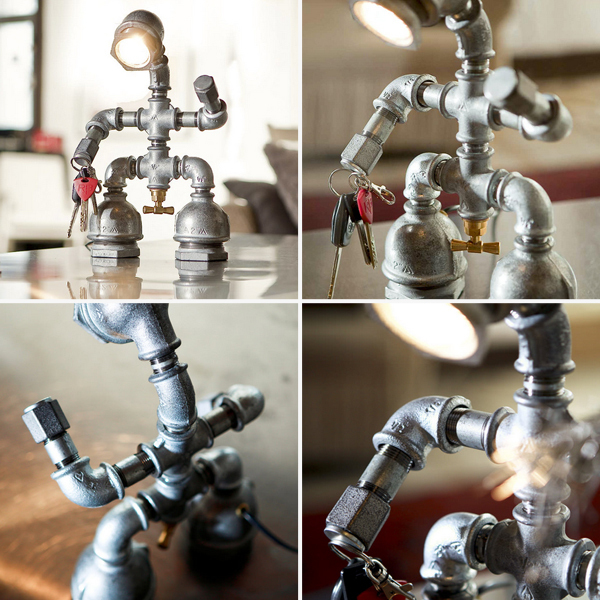 They hand make the lights, up cycling galvanized iron piping and parts. Each light even has a tap knob that is used to turn the light on and off. 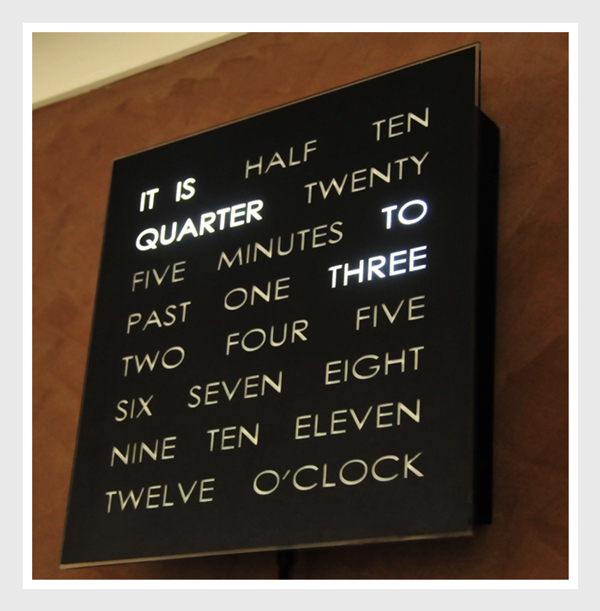 They have pendant lights, wall lights, accent lighting for shelves, and floor and table lamps. 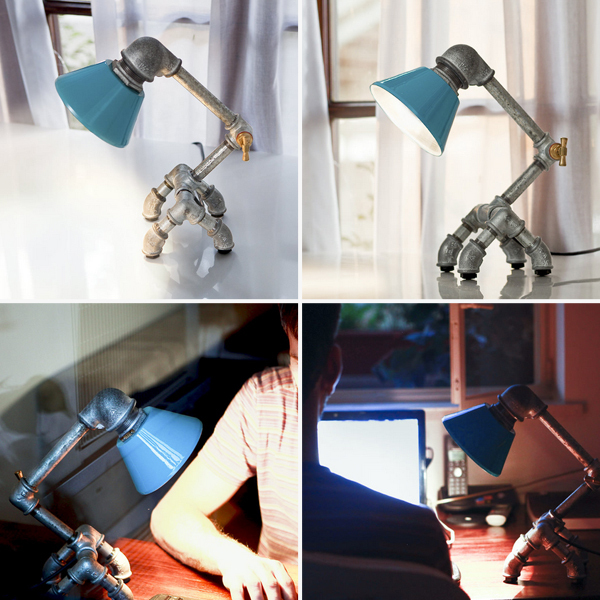 Here are some examples from their desk lamp collection.